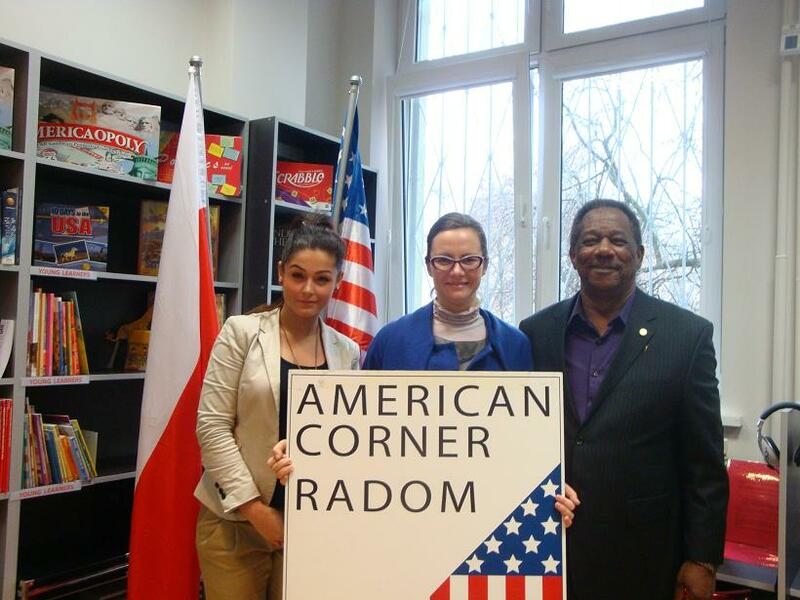 Karolina Adamczyk, Coordinator American Corner in Radom; Małgorzata Krasowska, Executive Director of the Fulbright Commission in Poland, and Stan Breckenridge, Distinguished Chair Fulbright Scholar at the American Corner in Radom, November 19, 2012. 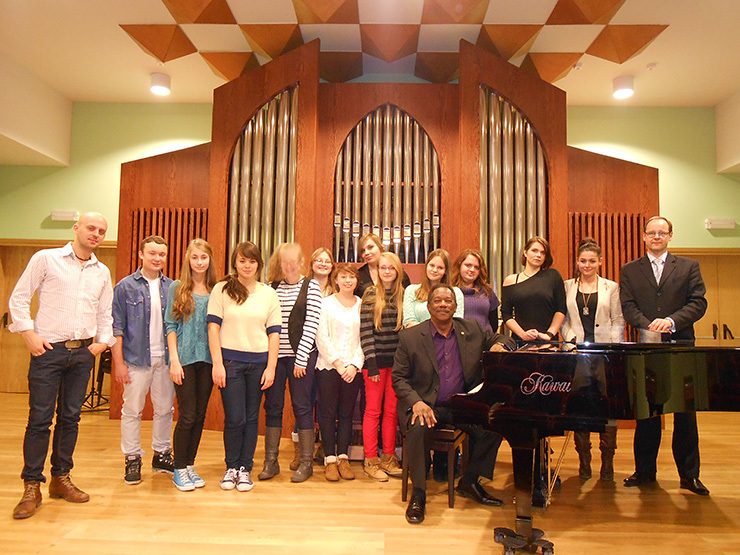 Stan Breckenridge with Robert Pluta (far right) – dyrektor Szkoły Muzycznej im. Oskara Kolberga w Radomiu; Karolina Adamczyk, Coordinator American Corner in Radom, class teacher (far left); and students. 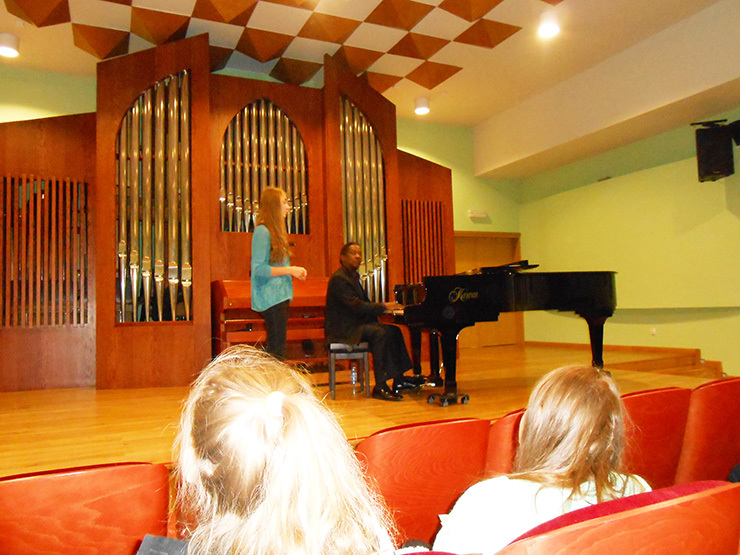 Stan Breckenridge is speaking about the importance of 1.Performing different styles of music, 2. Theory, Harmony, and Form, 3. Stage Deportment, and 4. Engaging the Audience. 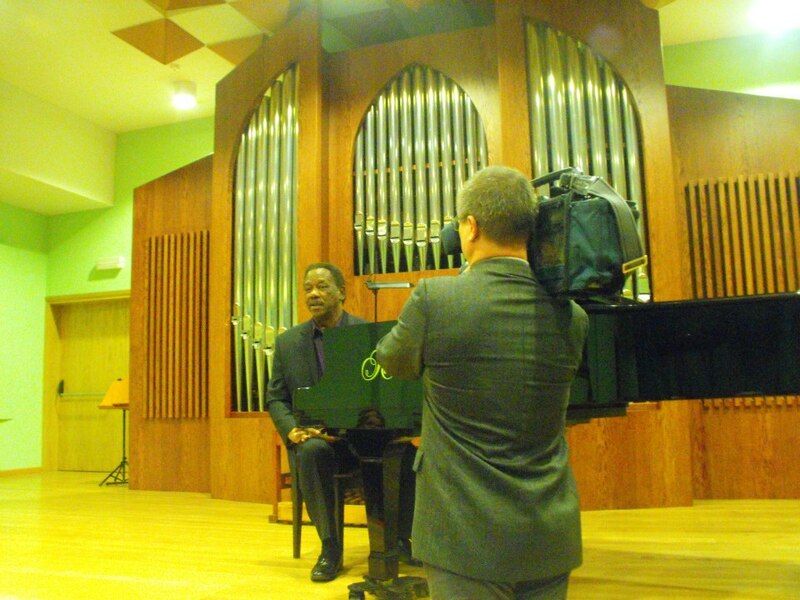 A local TV station, organized by American Corner in Radom, came by to interview the Vocal Master Class by Stan Breckenridge. This student is performing “If I Ain’t Got You” by Alicia Keys. 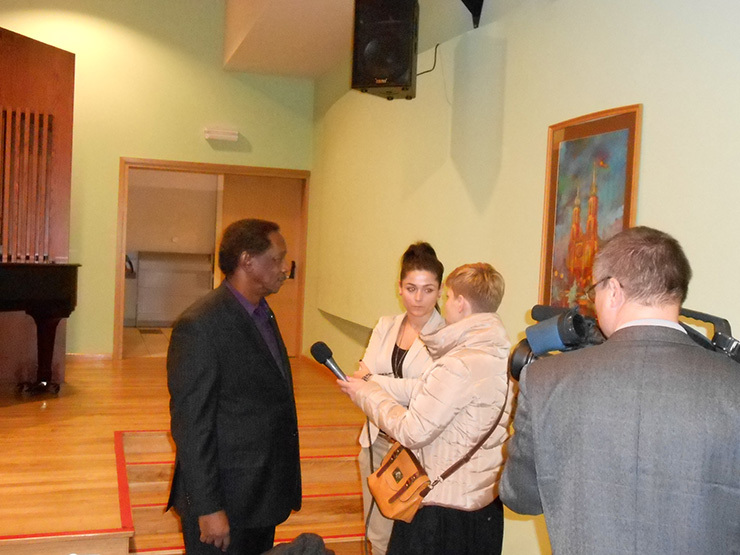 TV Interview, organized by American Corner in Radom, with Stan Breckenridge at Szkoły Muzycznej im. Oskara Kolberga w Radomiu. 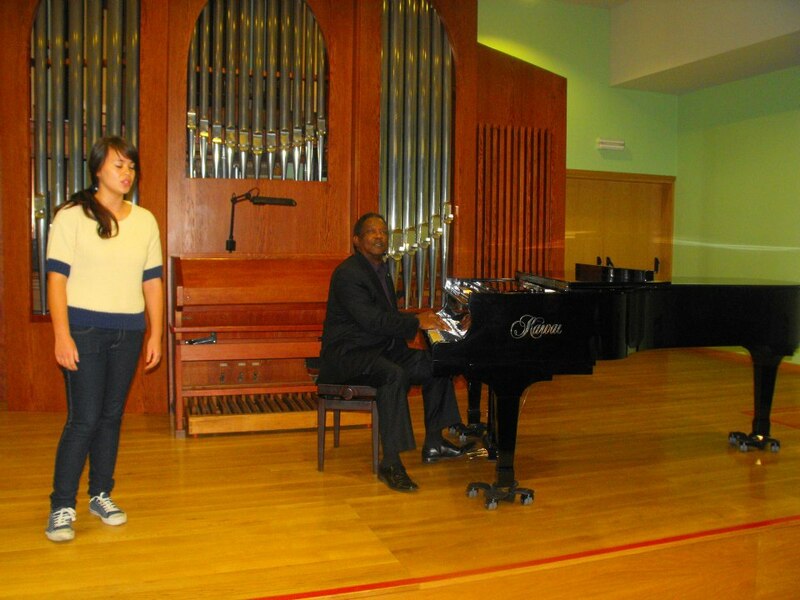 This student performed “Natural Woman” by Aretha Franklin. 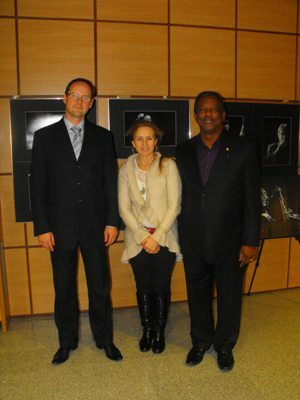 Robert Pluta, Urszula Malmon, and Stan Breckenridge at the Szkoły Muzycznej im. Oskara Kolberga w Radomiu. 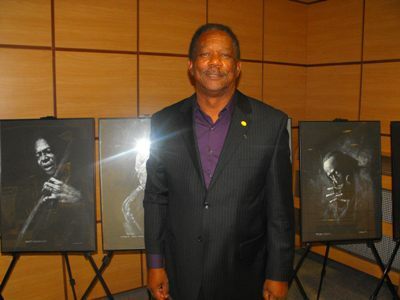 The foyer of the main concert hall displays notable jazz musicians such as Miles Davis and John Coltrane. 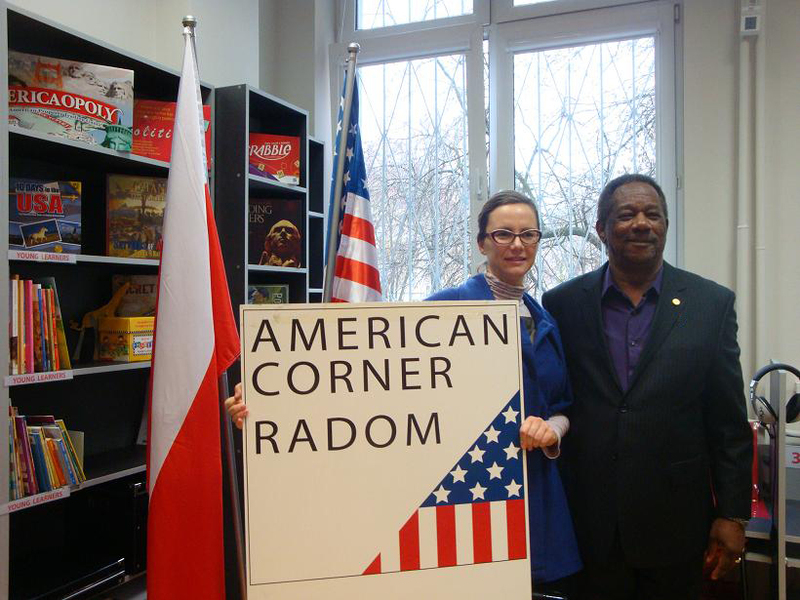 Małgorzata Krasowska, Executive Director of the Fulbright Commission in Poland and Stan Breckenridge, Distinguished Chair Fulbright Scholar at the American Corner in Radom, November 19, 2012. 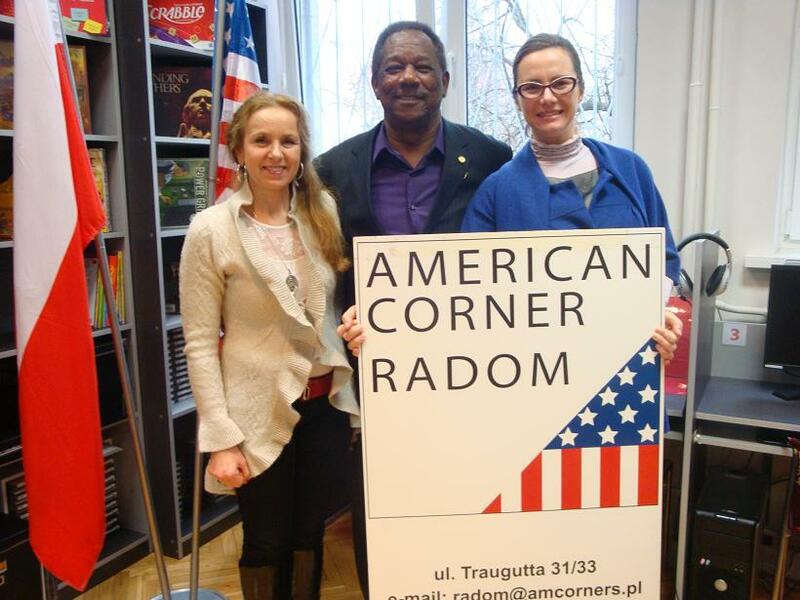 Urszula Malmon, Stan Breckenridge, and Małgorzata Krasowska, at the American Corner in Radom, November 19, 2012. 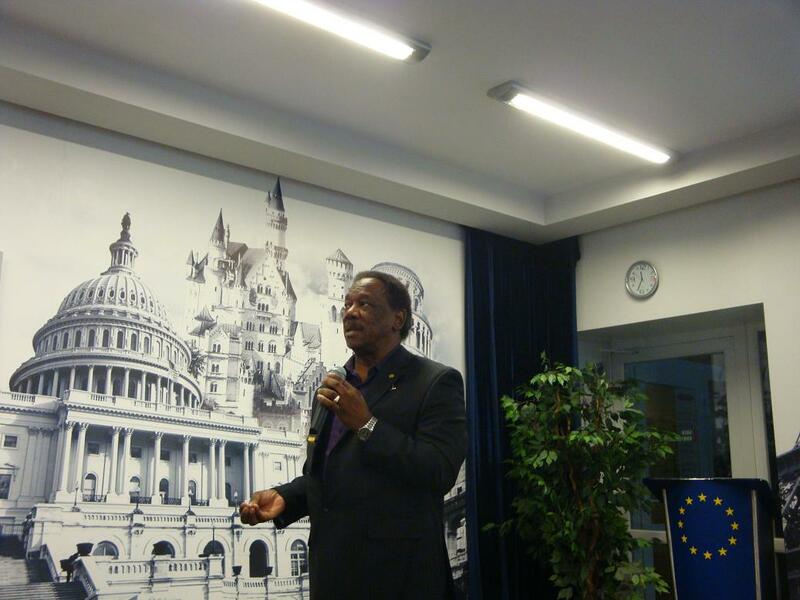 Stan Breckenridge giving a brief talk on the significance of being a Fulbright Scholar to students at the OLJ im. 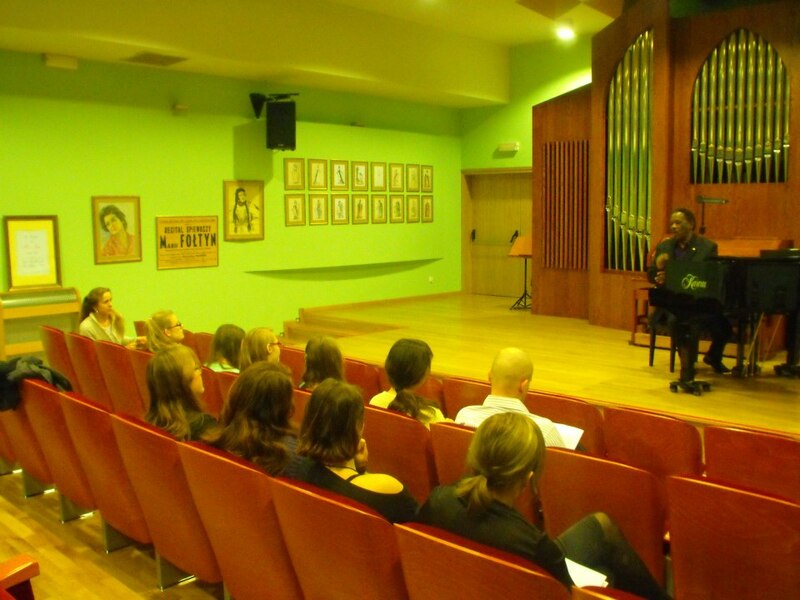 Unii Europejskiej w Radmiu.
. After clicking “Read More” scroll down to read the article.